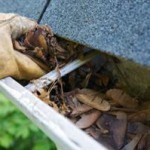 Your gutters are one of the most important systems on or in the home. That’s because the gutter has the sole responsibility of protecting the roof. When water gets onto the roof it needs somewhere to filter off. This is what downspouts are for. Water goes down the spout and safely away from the home. Water that cannot filter off a roof causes lots of problems even into the interior of the home. For excellent gutter services; call Cavalier Window Cleaning & Power Washing. There’s always the need top have your gutters cleaned out. Many people make the mistake of cleaning them out once it’s too late. That can turn into a nightmare. Carrying buckets up and down a ladder all day long is tiring and not to mention painful. If you’re in need of a gutter service, that can make your roof stronger; go with a protection device and have routine repairs and maintenance done to it. This will keep your roof from needing a replacement which, by the way, can cost in the upwards of thousands of dollars. There is no reason why you shouldn’t call Cavalier Window Cleaning & Power Washing. We’re experienced, will treat your gutter system with respect and can provide you with peace of mind. Knowing all that; you should spend more time calling and less time fretting. 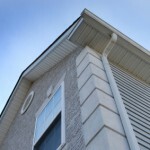 Gutter systems are designed from the highest quality of materials. They are not designed to carry debris such as excessive leaves, pine needles, and other debris. 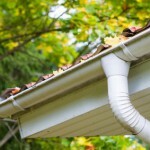 These items tend to clog gutters up which ends up blocking the downspout. This is where gutter cleaning comes in handy. Whenever you tend to ignore your gutters and can no longer tighten the gutter nails; you’re going to need professional hands. If the task of cleaning the gutters has become too overwhelming; call in professionals before the problem gets bigger than it already is and for reliable gutter repairs in Charlottesville. Installing gutter protection over your gutter system can help in saving a great deal of time, money and energy that you would have to put into a spring cleaning for them. In the case that you can’t clean the gutters o your own; there’s an extra expensive of hiring a professional.